"If we need to say or speak about a problem that troubles our mind, they are there for us—to listen to what we need and to help us in any way they can. " "The clinical staff is the most dynamic and has the ability to reach and meet you where you are at. " "For the first time in my life I really made the best choice to make a big change in my life. And I heard so much about this place that I came here on my own, no parole, no probation. It was the best thing that I ever did in my life. I am so happy and blessed to be here in Pacifica House. The counselors are very understanding and really want to help if they can. I am planning to stay as long as it takes to learn how to live life on life’s terms. Thank you for accepting me. " "Tengo muy buenas atencione con el Dr. y therapist. " "The staff here have been really instrumental and supportive in helping me get to my core issues, and have been extremely supportive in my spiritual journey. They have helped me get comfortable with myself and with other women. " "Very professional staff and courteous; made me fell welcomed and at home. " 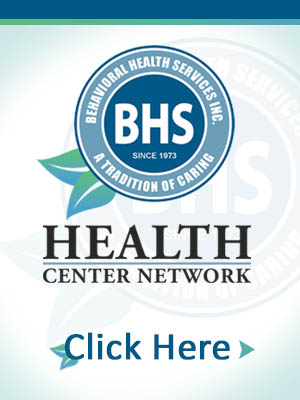 "BHS is helpful towards my outside life in the world. They help and prepare me for everyday struggles. " "Bueno para mi fue algo nuevo ya que es mi primer esperiensia en un lugar como este pues no me trataron como un drogadicto o delincuente si no mas bien me trataron como una persona que tenia problemas para entender mi problema respecto a mi vida y mi adiccion poreso quiero darles las gracias a PACIFICA HOUSE y a todo su personal especialmente a mi consejero HENRY PONCE por todo el apollo que me brindo para poder salir adelante y empesar una nueva vida sin drogas. "